ReaLifeSim is the leading wearable IV trainer, with improved realism and portability, objective assessment of skills performance with the App, and inclusion of human factors in IV training. ReaLifeSim, LLC, is a wholly-owned subsidiary of B&G Educational Innovations, LLC, (BGEI). B&G Educational Innovations, LLC, (BGEI), a disruptively innovative company that has quickly established itself as a leader in the healthcare simulation field, announced today its collaboration with ECHO Healthcare, a progressive healthcare simulation and technology company with over 25 years’ experience focused on improving educational experiences through innovation. “We are excited to welcome ECHO Healthcare to our network of collaborators and distributors who share the same perspective on the growing importance of simulation and immersive training in healthcare education,” explained Elizabeth Benson, co-founder and CEO of BGEI. “We believe ECHO Healthcare’s expertise and innovative approaches will help create additional opportunities to raise the level of learner competence and confidence, improving both patient care and safety,” Benson added. “ECHO Healthcare is proud to represent select global brands, like ReaLifeSim, that are aligned with our mission to improve patient care through education,” said Kevin King, ECHO’s CEO. “Coming from health care backgrounds, I recognized instantly that Elizabeth and I shared a common vision for improved patient outcomes through innovation and we look forward to helping them extend the reach and impact of their unique simulation products,” King added. The two companies already share a link to Lifecast Body Simulation, a UK based firm creating realistic body manikins from castings of real people for use in healthcare simulation education. “We have been using the ReaLifeSim tools with our Lifecast bodies throughout the world to enhance the simulation abilities of the Lifecast manikins,” explained David Halliwell, Director of Lifecast. “We are pleased to see ECHO Healthcare and ReaLifeSim combining to support the growth of realism in clinical simulation,” he added. ECHO Healthcare distributes Lifecast products throughout the United States and Canada. ReaLifeSim, LLC, a disruptively innovative company, has been earning industry recognition as a Top 10 Healthcare Simulation Solution Provider for 2018 by Healthcare Tech Outlook Magazine and a Top 12 Company in Patient Safety Advocacy by Medical Training Magazine. Globally utilized ReaLifeSim hybrid wearable products provide safe, risk-free, immersive learning by creating a realistic platform to work under pressure, practicing vascular access on real people or manikins. ECHO Healthcare is a new, innovative company whose goal is the redefinition of innovation and excellence in the medical simulation marketplace. With over 25 years of combined experience in the field, ECHO Healthcare is well positioned to add value to medical simulation programs across disciplines and technology platforms. We, at #ReaLifeSim, salute these “angels among us” for their commitment and dedication to helping us, their neighbors, near or far, when they need help most. Most days when we hear or see a fire truck or rescue vehicle our first concern is where is it, which way is it going and am I in the way? Okay, our first three concerns. We might say a small prayer for those in need of their help and a thank you that it’s not us. 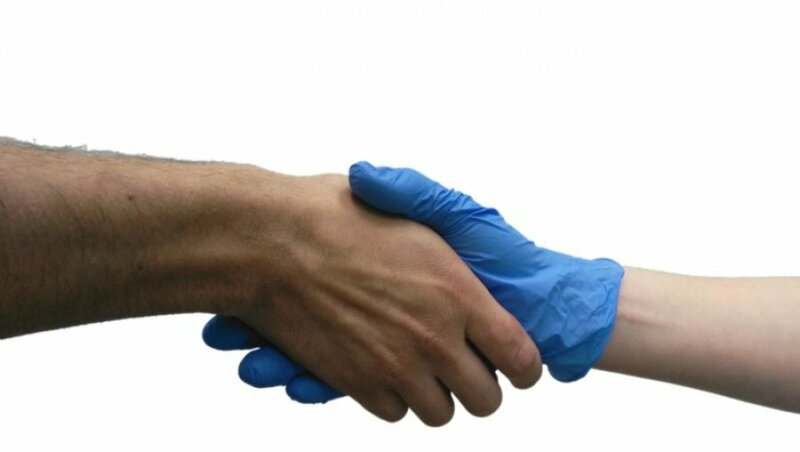 But how often do we think about the Emergency Medical Services (EMS) personnel, firefighters, paramedics and EMTs, who make a career out of providing our communities with incredible life-saving medical care any time of day, every day and in every possible environment and circumstance you can imagine? Whether it’s illness, injury, accident, natural or man-made disaster, these men and women, many of them serving in volunteer positions, make our health, safety and well-being their #1 priority. And they often perform their life-saving efforts in the dark; blistering heat; bone-chilling cold; torrential rain; or a noisy and dangerous intersection. We’re proud of this triple-crown Industry recognition and the work we’ve done to increase realism in clinical simulation. We design tools to provide safe practice opportunities that more closely replicate those experienced in real life to improve patient safety. We’re pleased and proud to share ReaLifeSim was 1 of 12 companies worldwide recognized, as a Patient Safety Advocate 2018-2019 by Medical Training Magazine in their Patient Safety Advocacy issue. The magazine made their selection from solicited subscriber nominations. ReaLifeSim, LLC (RLS), the leading wearable vascular access trainer provider, has been named one of the “Top 10 Healthcare Simulation Solution Providers of 2018.” Our small, nurse-owned business was recognized for innovative clinical simulation products used to “train the way you treat” by the experts at Healthcare Tech Outlook, a respected resource for decision-makers regarding the dynamic changes technology is having on the healthcare industry. We pushed the boundaries of traditional clinical simulation education, again, with our new, unique Mixed Reality IV Training system, which was selected for inclusion in the International Meeting for Simulation in Healthcare (IMSH) 9th Annual Serious Games & Virtual Environments Arcade & Showcase 2019 that took place January 26-29 in San Antonio, TX. B & G Educational Innovations, LLC, (BGEI), parent company of ReaLifeSim, LLC, announced today - a collaboration to produce a new product with Amoveo Training, Inc., a Canadian firm with national healthcare simulation training expertise, based in Medicine Hat, Alberta. “We’ve got you…. under our skin.” Well, more precisely ReaLifeSim’s got a new sub-dermal layer add-on! The first product of this joint effort, released today, is a simulated sub-dermal (skin) layer, which can be inserted into the wearable ReaLifeSim IV simulator, adding another level of realism for those developing and maintaining skills to successfully start an IV. “We’re pleased to be working with Amoveo. We share the same perspective on the growing importance of simulation and immersive training scenarios to raise the level of learner competence and confidence, improving patient care and safety,” explained Elizabeth Benson, co-founder and CEO of BGEI and its ReaLifeSim. 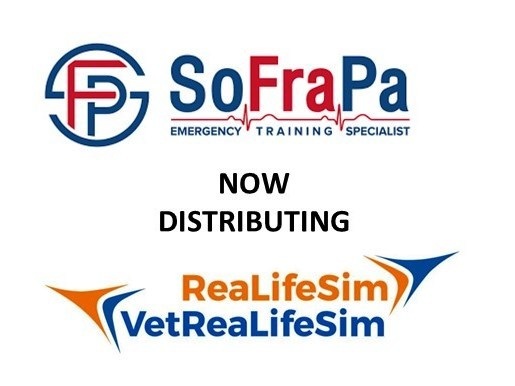 “ReaLifeSim & VetReaLifeSim IV trainers provide high physical fidelity and versatility to teach proper hand positioning, IV catheter manipulation, provider-patient interaction, and situational awareness in a variety of environments.” Benson added. “ReaLifeSim's focus to replicate real life in clinical training using wearable products works well with our commitment to help organizations use simulation and immersion to enhance quality improvement and safety,” said Matthew Jubelius, Amoveo’s founder. “We’re happy to be working with ReaLifeSim to add another layer. Realistic training helps medical and veterinary professionals provide the highest standards of patient care”, added Jubelius. The two companies are working together to develop realistic products for improved learner experiences. Amoveo’s expertise in designing customized simulation solutions complements ReaLifeSim's commitment to improve patient outcomes by enhancing the skills training available to students and existing care providers. This new addition is available directly from Amoveo Training, Inc.
ReaLifeSim, LLC (RLS), the leading wearable vascular access trainer provider, has been named one of the “Top 10 Healthcare Simulation Solution Providers of 2018.” This small, women-owned business was recognized for innovative clinical simulation products used to “train the way you treat” by the experts at Healthcare Tech Outlook, a respected resource for decision-makers regarding the dynamic changes technology is having on the healthcare industry. “Their (ReaLifeSim) unique products provide safe, repeated skills practice on a live person, allowing the learner to interact as they would in a real-life situation, creating a “train the way you treat” learning experience. They also promote a heightened sense of “presence” and emotional connection by engaging learners’ senses and emotions in a “real-life” simulation,” cited Healthcare Tech Outlook in their December issue. BGEI is known as a disruptively innovative leader in hybrid clinical simulation education, designing, manufacturing, and distributing wearable peripheral vascular access training products for healthcare under the ReaLifeSim brand. “We’re providing an affordable product that improves clinical training, creating competent and confident clinicians, which leads to better patient outcomes,” explained Benson. Benson created disruption of her own during a “shark tank”-like competition, at the One Spark innovation conference, when she gave a calculated “cold shoulder” to two of the judges about to evaluate her “pitch.” The resulting head turning and almost audible gasp from those in attendance was the feedback she expected. She had their attention. Instead of explaining the impact poor communication could have on patient trust, Benson made them feel it. Improved provider/patient communication is one of the benefits of her ReaLifeSim wearable trainers. Benson and co-founder Linda Goodman, RN, CHSE, received their own disruptive news later that day when it was announced they placed second, but the pitch was so compelling they were awarded the first place prize. The fact that BGEI did not yet have a minimally viable product (MVP) was very much in the “non-traditional” category for new start-up ventures. Less than 90 days later, Benson and her husband, half of the core business team at the time, relocated from their home in Maryland to Jacksonville and went to work. and their ReaLifeSim IV task trainer was selected for use in several EMS/First Responder competitions and FEMA-approved Urban Search and Rescue courses for its added realism. ReaLifeSim is used in classrooms and labs, hospitals and clinics, fields and farms, and in scenarios/training events including disaster, close-space and austere rescue environments. Experts in national and international venues routinely choose ReaLifeSim because their clinically challenging scenarios require IV realism. “The closer we can get the students to a ‘real call’, the better we can transition them from students to practitioners. ReaLifeSim IV trainer added another level of realism to our scenarios. This tool really helps achieve that goal,” shared TSC EMS Faculty, Hector Martinez. "ReaLifeSim is great! Our current simulation arms are so bulky…not really practical to put on an SP. The arms and manikins we use don’t really simulate an actual patient, so ReaLifeSim is fantastic," shared a RN standardized patient educator at #ASPE2018. "My students really loved working with and wearing ReaLifeSim. I was pleased to see the blood return was more realistic than a simulation arm and I like that we can use it to practice giving medications," reported Judy Comeaux, DNP, ARNP, BSN Program Director, UNF. For further information on ReaLifeSim, visit: bgei-educational.com.